Could You Imagine Your Life Without Colour? Tues-Fri 1-5pm; Sat 11am-5pm; Closed on Sundays & Mondays. The works of two great architects and one exceptional British photographer will be celebrated in a new exhibition opening in London in March 2014. 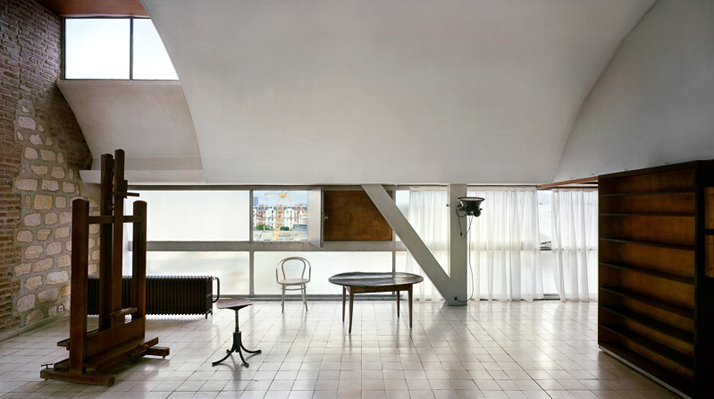 The buildings of two of the most influential modernist architects, Le Corbusier and Konstantin Melnikov, will be examined in a show devoted to the photography of Richard Pare. 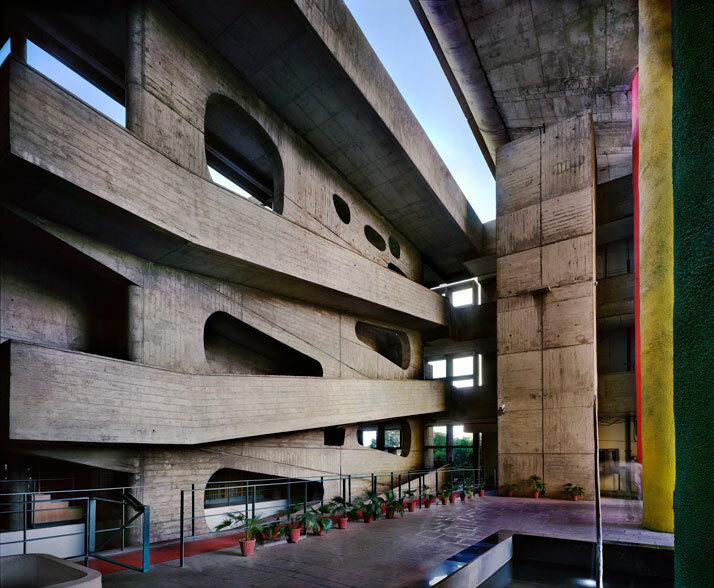 Le Corbusier / High Court, Chandigarh, Punjab, India, 1952-56. View of the ramp © Richard Pare, 2012. 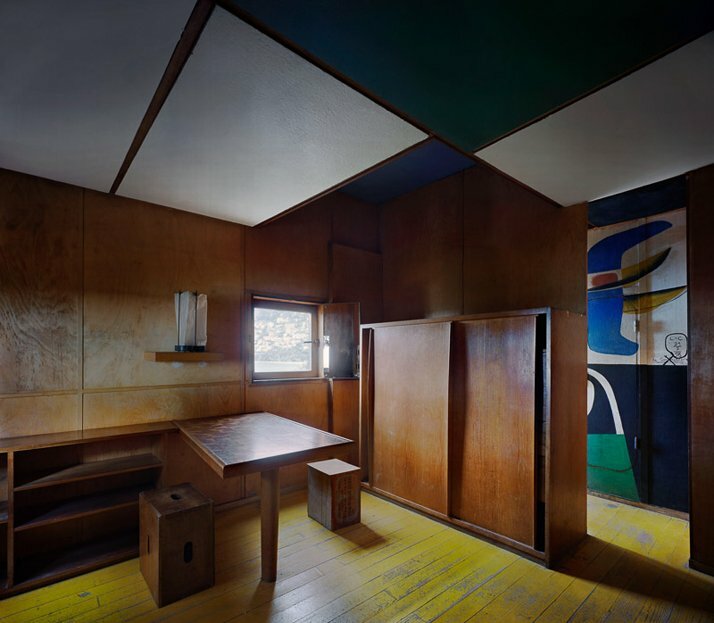 Living Laboratory: Richard Pare on Le Corbusier and Konstantin Melnikov runs from 21 March–11 May 2014 at PM Gallery & House in Ealing, West London. Sitting in Walpole Park, central Ealing, the Gallery is the extension to one of Sir John Soane’s great architectural treasures, Pitzhanger Manor, the ‘dream house’ designed by Soane as a place to entertain his friends and display his collection of art and antiquities. Richard Pare’s fascination with modernist architecture shines through his vast collection of images taken over several decades. Living Laboratory will illustrate how he photographs buildings, taking care to reveal both their many subtleties and magnificent monumentality. Pare’s perceptive point of view brings into play dramatic use of light, (always achieved with no supplemental lighting) as well as varied weather conditions and seasons. Le Corbusier’s studio, rue Nungesser-et-Coli, Paris, 1931-34. View of the interior © Richard Pare, 2012. Melnikov house 1927-31, Moscow, Russia. © Richard Pare. To achieve his images he deploys a wide range of technical approaches, combining conventional film and a view camera with the latest advances in digital image making. These state-of-the-art aspects of his work serve to highlight the majesty of his subjects without in any way overwhelming the purposes of the undertaking. He is also attentive to the effects of the passage of time and changing social conditions on the works he chooses to portray. The absence of human beings, coupled with signs of wear and decay, including creeping vegetation and the lingering evidence of past eras, emphasise the impermanence of seemingly solid structures and their struggle for survival. While Pare’s work covers many subjects, Living Laboratory reveals his admiration for Le Corbusier and Konstantin Melnikov, two of the finest and earliest proponents of modernist principles in architecture. A prolific creator over six decades, Le Corbusier (1887-1965) revolutionised the ways in which we inhabit spaces, reinventing the idea of the house, designing radical furniture, vast urban planning schemes and the design of whole cities. 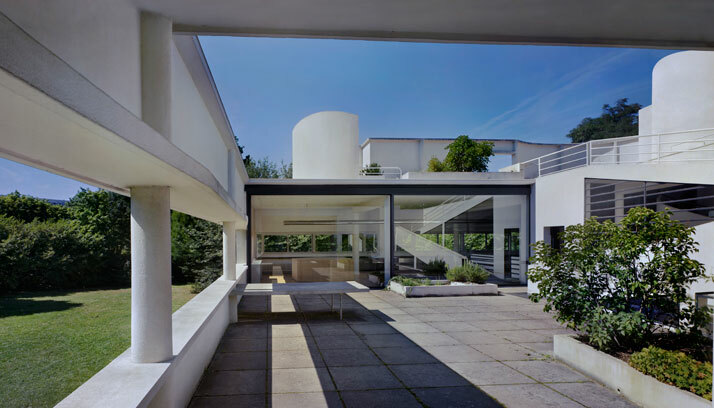 His use of open-plan spaces, terrace gardens, horizontal windows and light-filled interiors created iconic and immediately recognisable buildings, among them the Villa Savoye outside Paris, Chapelle Notre-Dame du Haut in Eastern France, L’Unite’ d’Habitation in Marseille and the Capitol Complex in Chandigarh, India. 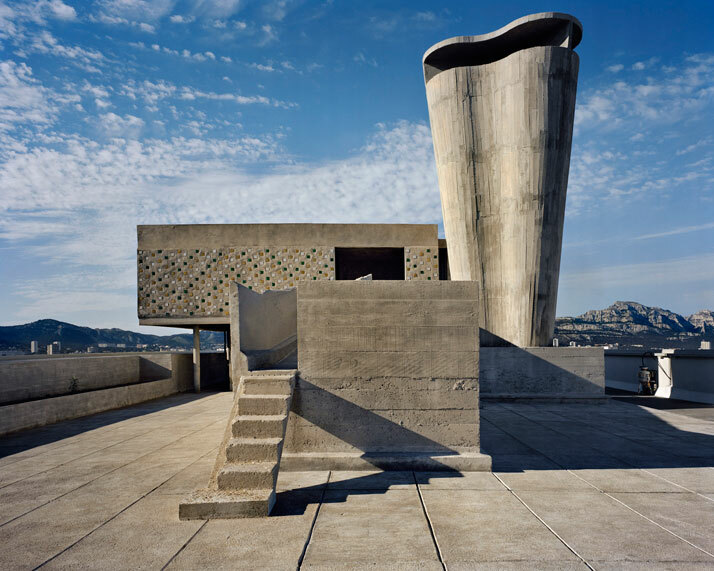 Richard Pare’s obvious delight in the detail and poetics of Le Corbusier’s architecture creates new and vital views of buildings which are so well known that they could easily lead to clichéd photography. Le Corbusier / Notre Dame du Haut chapel, Ronchamp, 1951-22. Panoramic view © Richard Pare, 2011. Konstantin Melnikov (1890-1974) was a Russian modernist architect whose work emerged during a period, of little more than a decade, when architects were endeavouring to establish a new architecture for a new age. The social ferment of the time made it possible for a handful of architects to design and build a number of structures that have had considerable influence on the architectural thinking of succeeding generations all over the world, in spite of the fact that the modernist experiment was snuffed out by the regime under Stalin. 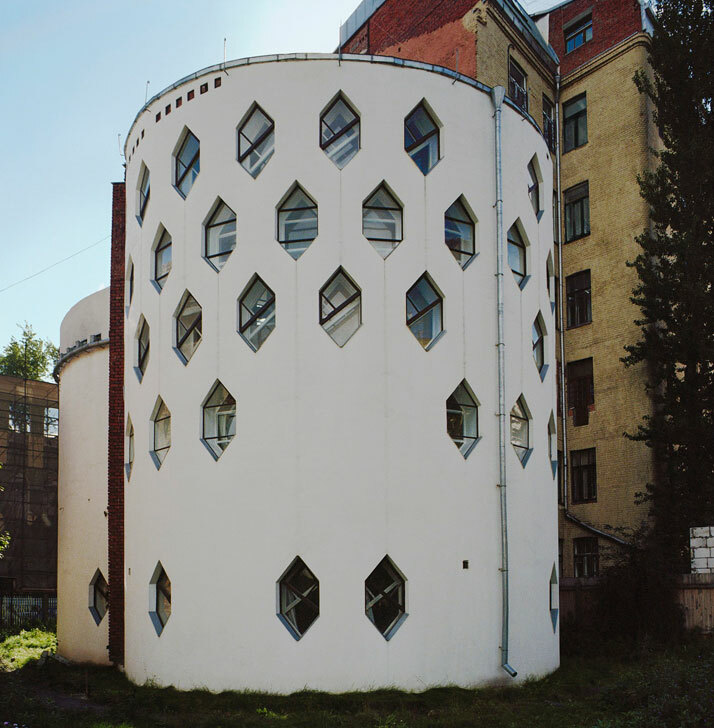 Even today, Melnikov’s buildings remain radical and innovative, revealing a courageous individualism that was both his genius and downfall. Perhaps the most significant of Melnikov’s buildings was the house he built for himself, which also served as an experimental studio and a personal investigation into the idea of the house. Melnikov’s ingenious use of space, even within the confines of his very limited budget, is emphasised by Pare’s sensitive and subtle approach. His images of Melnikov’s house are especially poignant, becoming one of the final sets of images made during the life ofMelnikov’s son, who gave over the majority of his life to defending his father's legacy. The fate of the building remains precarious, locked in a battle of wills between members of the family, private interests and the government. Le Corbusier / Sainte-Marie de La Tourette Dominican monastery, Eveux-sur-l’Arbresle, 1955-60. Interior view of the chapel © Richard Pare, 2011. 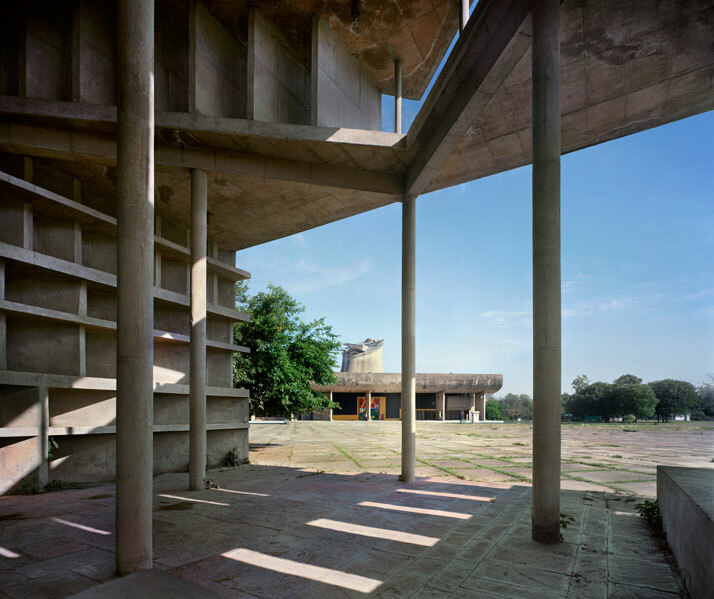 Le Corbusier / Assembly Building, Chandigarh, Punjab, India, 1955-62. View across the Tower of Shadows © Richard Pare, 2012. Le Corbusier / Cabanon, Roquebrune-Cap-Martin, 1952. View of the interior © Richard Pare, 2012. Le Corbusier / UniteÌ d’habitation, Marseilles, 1946-52. View of the terrace roof with the superstructure © Richard Pare, 2011. 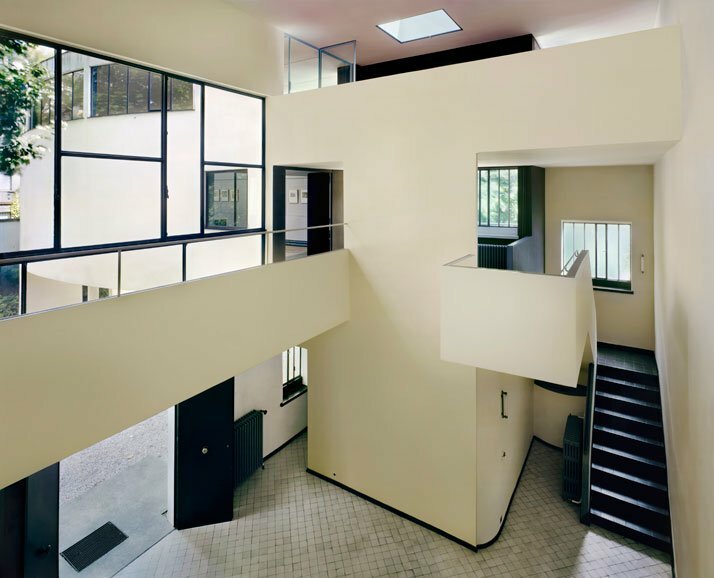 Le Corbusier and Pierre Jeanneret / Le Roche-Jeanneret house, Paris, 1923. Interior view of the hall of La Roche house © Richard Pare, 2012. 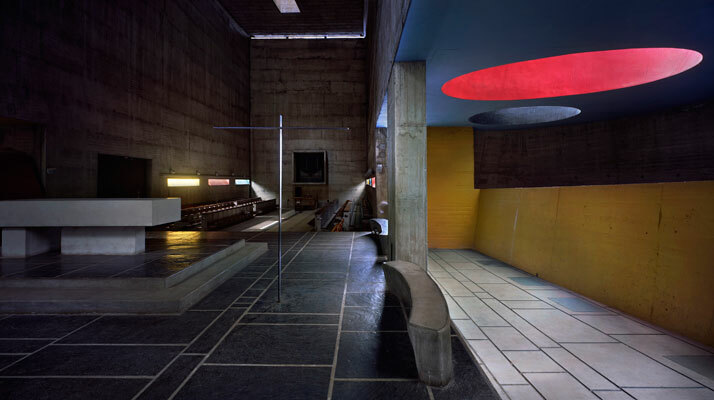 Le Corbusier / Notre Dame du Haut chapel, Ronchamp, 1951-22. View towards the east © Richard Pare, 2011. Le Corbusier / Villa Savoye, Poissy. © Richard Pare, 2012.